Sometimes it’s the simplest of things that make the biggest difference. If you’ve ever started a recipe only to find that one of your key ingredients, onions or garlic bulbs, have gone bad…this simple kitchen tip is for you. 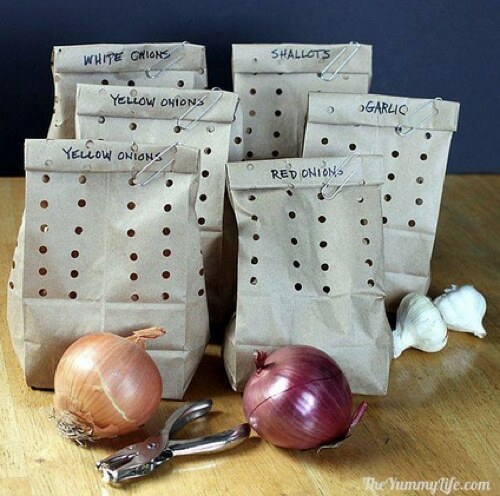 In just minutes you can create excellent storage bags that will help keep these recipe staples fresh much longer than common methods.